Upon admitted to a nursing home, a social worker, typically will ask a general question of what the discharge plan is expected to be. Whether you or your loved one plans for long term or short term care is and how realistic that plan may be is what the social worker is trying to gauge. Deciding on long term indefinite care for yourself or a loved one is a very difficult decision. However, when trying to decide if one is able to return home; there are some potential barriers to consider. One common barrier to discharge is limited or lack of community support. There are some residents who plan for short term stays, but when discharge planning begins it is evident that there is a lack of support from either family or friends. 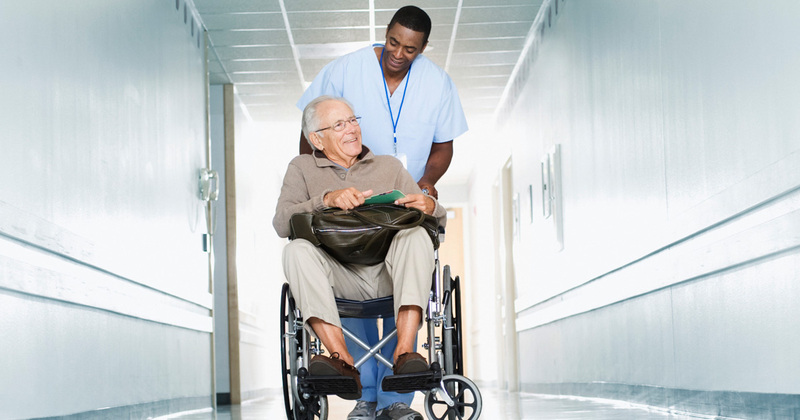 If a resident is able to ambulate without assistance, safely, and can administer their medications, a lack of support isn’t necessarily a barrier. However, if 24 hour supervision is deemed necessary for example, for safe transfers or due to a cognitive impairment, there are not services in our rural area that offer 24 hour care. In this case, a discharge would not be considered safe and would not be cleared by the physician. Another common barrier to discharge is appropriate housing. Being located in a rural area, such as we are here at Abbyshire Place, housing is not always readily available. With a shortage of adequate housing, the barrier only becomes more so when a resident is searching for certain criteria. Handicapped accessible, first floor apartments or housing is often sought after and very difficult to find so in a situation where it is deemed necessary, discharge planning may take more time than a resident or family may have anticipated. These are only two examples of barriers to discharge and there are plenty more that residents are unaware may be presented to them. It is important for people to know that these barriers exist so as to set realistic goals in planning for the future.